Silsila Badalte Rishton Ka 7th December 2018: Kunal and Mauli both decided to stay away from each other, they decided to move on from their life. Silsila Badalte Rishton Ka is one of the most loving TV serials. Silsila Badalte Rishton Ka colloquially as relationships. Silsila Badalte Rishton Ka is one of the most TRP rating serial. Silsila Badalte Rishton Ka Colors Serial there are so many viewers who follow the daily update. Silsila Badalte Rishton Ka is a 2018 Indian Hindi television drama series, which premiered on 4th June 2018 on Colors TV. The show is all about the childhood friends Nandini and Mauli who gets separated and after seven years they met. There is a high- voltage drama is going on in the TV serial. Silsila Badalte Rishton Ka. The serial is giving so much entertaining to their audiences for a long -time and getting an overwhelming response from the audience. Today’s episode of Silsila Badalte Rishton Ka- Kunal and Mauli both decided to stay away from each other. Mauli hate Kunal because he did not have the faith in Mauli at the time of her pregnancy. 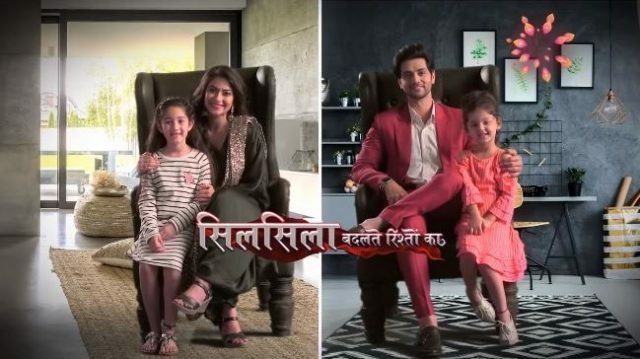 Silsila Badalte Rishton Ka 7th December 2018 written episode update begins with Mauli decided to leave the house. But when Mauli is about to leave Kunal’s house, Pari expresses her desire to meet her every day. She even asks her if Mishti will agree to share her mother with her. This leaves Mauli and Kunal stunned. The fact that Mauli is her sister, Pari even told Mauli that she is ready to share her Budyy who is Kunal. After Pari is taken to her room by the nanny, Kunal and Mauli decided that they never to met again. They did not want their past to affect their future. Hence they both were decided to stay away from each other. As soon as Mauli reaches home, Mishti asks her that what took her so long. Mauli ends with telling the reality. Mauli tells Mishti that Pari was unwell and there was no one to take care of her. Upcoming of Silsila Badalte Rishton Ka 7th December 2018: Ishaan mother was excited to meet Mauli. Ishaan said Mauli is a doctor and had to go to a relief camp. Previous articleWeight Lose : US-Based Nutrition Asks You To Do This Before Your Meals?